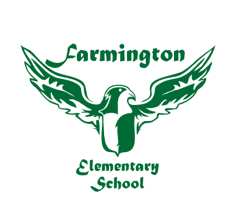 My name is Megan Gaschler, and I am so excited to be returning to the Farmington family as the RTI Coach. I have worked in the classroom for the nine years and I am so excited to be moving into this new role. I look forward to serving the students, teachers, and parents in the RTI process, please let me know if you have any questions. GMSD is committed to helping all children succeed. We have many ways to help children who are struggling to learn and who need additional supports to be successful. Response to Instruction and Intervention (RTI²) is one form of support. In Tier ll, intervention is implemented when assessment indicates that a student is not making adequate gains from Tier I instruction alone. In addition to Tier I instruction, students are provided small group interventions designed to meet their specific needs. These students are progress monitored weekly or every other week using a tool that is sensitive to measuring changes in the student’s individual skills. In Tier III, more intensive interventions are provided to students who have not made significant progress in Tier II, who are more than 1.5 grade levels behind, or who are below the 10th percentile. These students are progress monitored weekly or every other week using a tool that is sensitive to measuring changes in the student’s individual skills. What are the key components of the RTI² Framework? If at any time parents become concerned that their child needs special education, they should contact their child’s teacher or administrator. Other forms of evaluation, in addition to information gathered through the RTI² framework, are needed to determine if a student is eligible for special education services. In order for these evaluations to be conducted, a parent’s written consent is required. Talk to your child’s teacher or principal for more information about how RTI² is being implemented in your child’s school.